Copy only ends up long when you can’t find the correct way to make it short. For a number of years I have been a successful marketing copywriter with a proven track record of delivering fresh, customer-centred copywriting that gets results. My experience in the field includes writing professionally for television [IMDB Page], (Channel Four, Channel Five, BSkyB), print media (The Gap, Yahoo, Eurosport) and numerous other blue chip corporations. Naturally, as with most copywriters I will promise you that I will deliver intelligent, concise and engaging copy that’s beautifully written, bang on schedule and to budget. Sadly however, in today’s market I am aware that this is no longer enough. Neither is it simply enough to have a firm grasp of the English language. Copywriting has changed quite dramatically in the past twenty years, and the Internet is the main culprit. Successful copy today has to not only be commercially powerful in order to sell, but equally as importantly is that the copy is found and indexed efficiently by the popular search engines. This means a firm understanding of keyword application, and utilising all of the tools necessary to avoid keyword stuffing. Furthermore, a truly great copywriter should have a fantastic understanding of NLP techniques (Neuro Linguistic Programming), enabling the copy to evoke strong reactions with the most innocuous of phrases. This will ensure not only great results, but also that the product or service stays in the reader’s mind long after they have left the page. You have my guarantee that I will provide high quality copy that will be keyword rich and effectively engage the reader, whilst in line with the client’s marketing message. Find a copyrighter and let me explain what I can do for you! 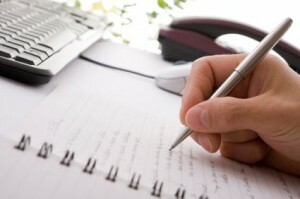 Below you will find a list of copywriting services I provide.